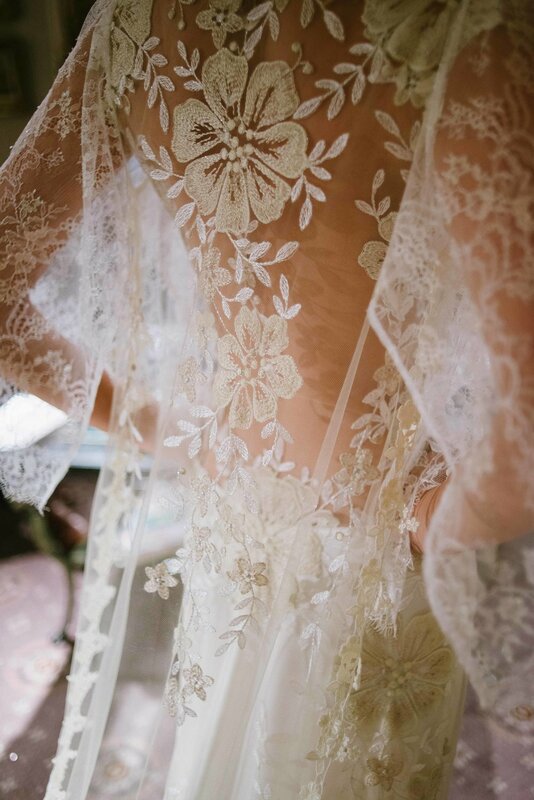 Inspired by the four seasons and showcased at the beautifully baroque Hotel Elysee, Claire Pettibone's new couture collection features all the variety and beauty nature has to offer. Such powerful symbolism, gorgeous texture and graceful motif offer an endless source of inspiration so It is no surprise that each gown is truly unique. Spring is interpreted by colorful embroidery, shades of blush, and floral elements whereas summer features flowing trains, delicate fabrics, and breezy silhouettes. Fall gowns shine in gold and copper accents, and manifest breath-taking illusions. Shimmering silver embroidery, graceful layered lace, and sequins beautifully represent winter. We just can't help but LOVE this collection - so creative and truly inimitable!